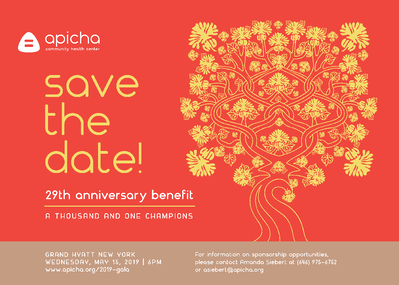 On Wednesday, May 15, 2019, Apicha Community Health Center is hosting our 29th anniversary benefit, A Thousand and One Champions. The event's name reflects the countless individuals over the years who have championed our cause, and this year we are honored to recognize three extraordinary people who have helped strengthen our mission to effectively meet the health care needs of New York City’s underserved communities. One of those individuals is Ira Feldman. Ira Feldman’s 30-year tenure with the New York State Department of Health has made a huge impact on the lives of New Yorkers, and is a longtime friend of Apicha CHC's. Feldman's commitment to Ending the Epidemic and fighting for the wellbeing of those affected and living with HIV/AIDS exemplifies the best example of how a public servant serves the needs of New York State’s communities. Feldman, Deputy Director of AIDS Institute, helped guide us toward a path to resolve the issues that stood before us. When we explored becoming an FQHC, Feldman connected us with his colleagues at the Department of Health who had the resources for HIV/AIDS organizations in transformation. Feldman is an ally, partner, and friend who sees to it that our healthcare system has room to include smaller organizations like Apicha CHC. Feldman has a 30-year tenure with the New York State Department of Health. Prior to joining the AIDS Institute in 1986 as its first Director of Heath Programs, he held several administrative positions in the Department’s Office of Health System’s Management, Bureau of Hospital Services. In 2008 he was appointed to his current position of AIDS Institute Deputy Director for Medicaid Policy and Programs. In 2004 he was appointed to the position of AIDS Institute Director of the Division of HIV Health Care. He previously held positions as the Deputy Director of the Division of HIV Health Care, and the Director of the Bureau of HIV Program Review and Health Systems Development. Feldman has overseen the development and implementation of health systems, innovative Medicaid reimbursement mechanisms and quality assessment for the continuum of health related HIV services including Designated AIDS Centers HIV Primary Care and HIV Chronic Care models. Feldman has provided overall direction for the implementation of Medicaid managed care for persons with HIV disease and has headed the development of the HIV Special Needs Plans. Most recently, he has coordinated the AIDS Institute’s participation in MRT and ACA activities including the development and transition to Health Homes. Feldman holds a Master’s degree in Health Care Administration from Long Island University and a Bachelor’s degree in Music from SUNY New Paltz. Every year, Apicha Community Health Center pays tribute to outstanding individuals whose work improve the health and wellbeing of New York’s LGBT community, people living with HIV/AIDS and the health care community at large. Called A Thousand and One Champions, the celebratory event will take place on May 15th at the Manhattan Ballroom of the Grand Hyatt, from 6:00 PM-10:00 PM in the evening. The award ceremony will be the primary highlight of our annual benefit gala. Apicha Community Health Center is at a pivotal crossroads in its future – one that we are excited about. At 400 Broadway we continue to grow—in 2018 we surpassed our goal to serve over 5,000 patients. To better meet the needs of our growing family, Apicha CHC expanded our women’s health services to offer more onsite family planning options. And this year, Apicha CHC is preparing to open its second site in Jackson Heights, Queens. As one of the most diverse neighborhoods in the world, Apicha CHC is ready to embrace, support, and help better the lives of all individuals in this community. We will be offering adult and pediatric primary care, mental health, dental care, and an LGBT Community Center. We celebrate our transformation and growth, as we continue to fulfill our mission to improve the health of our communities and to increase access to comprehensive care for people living with HIV/AIDS, the LGBT communities, immigrants and underserved and vulnerable people. 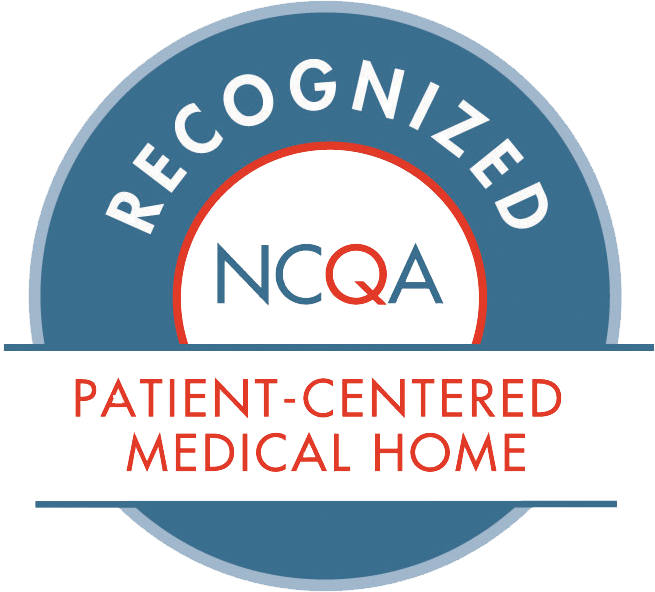 If you’re new to Apicha CHC and are curious about our work, click here to learn more!